Detoxification of harmful compounds and toxic material by converting them to less toxic forms after a number of biochemical reactions. Storage of glycogen. This glycogen is broken down to glucose and is released into the blood when blood glucose level falls below normal. Thus, the liver helps in regulating the blood glucose levels. Metabolism and processing of fats and breakdown products of proteins. Recycling of blood is an important function of the liver. It processes the breakdown down products of red blood cells. Synthesis of blood clotting factors and other proteins like albumin • Synthesis and secretion of bile into the gut, which aids in the absorption of fats from the intestine. Processing of certain medicines and drugs. What are the liver blood tests? The Health of your liver is crucial for leading a disease free life. You cannot have any idea about the health status of your liver until or unless you undergo liver blood tests or liver function test (LFTs). But how can you assess whether your liver is working normal or not? Liver blood tests are done as a routine practice now. These tests are done to assess the condition and functioning of liver. Normal liver function tests indicate that there is no need to worry because your liver is working perfectly normal. However, the alteration in the result of liver blood tests will be an indication of some injury or inflammation of the liver. The question might be troubling you that how the liver blood tests are supposed to assess the liver health? The theory behind the liver function tests is very simple to understand. Because the liver is the vital organ of the body, taking part in a lot of biochemical and metabolic processes, it contains a number of enzymes and proteins in its cells. These enzymes aid the liver in its function by speeding up the metabolic and other reactions going on in it. Under normal circumstances, these enzymes and proteins remain confined to the hepatic cells. But, when the liver cells are damaged or inflamed, these enzymes and protein leak out in to the blood. In addition to the leakage of enzymes from damaged cells, the liver also secretes other substances and chemicals like bilirubin in to the blood. The production of these compounds is increased when the liver iseither injured or damaged. Here comes the role of liver blood tests. Liver blood tests are nothing else but the assessment of level of these enzymes, proteins and chemicals in the blood. Liver function tests provide a complete profile about the level of these substances in the blood. Higher or elevated levels of these chemical and enzymes will be an indicator of some liver disease or injury. How the liver blood tests are done? Do not get frightened because liver blood tests are very easy and simple to perform. A small amount of blood sample is taken from a vein in arm that causes no harm to patient. Your doctor may ask you to fast for sometime before giving blood sample or to stop taking the medicines that can interfere with the interpretations of liver function tests. Why the liver blood tests are performed? Liver blood tests hold a great significance in the detection of liver disorders. Sometimes, the medical history and physical examination are not enough to reach a final diagnosis. In alcoholics, to assess the liver functions and to find out the liver damage because alcoholics are more prone to the liver diseases. What are the normal liver blood tests? Liver blood tests comprise a number of tests. Different enzymes, proteins and chemical levels are measured in blood in the liver blood tests. A single liver function test is not enough to establish the diagnosis about liver diseases. These liver blood tests are inter related to each other. There are certain non hepatic conditions in which one of the liver blood test gets disturbed while the others remain completely normal. Thus, a final diagnosis is done only after assessing at least more than liver function tests. Aspartate aminotransferase is one of the commonly done liver blood test. Aspartate aminotranferase (AST) is an enzyme abundantly present in liver, heart, kidney, brain and muscles. The other name for this enzyme is serum glutamic oxaloacetic transaminase (SGOT). As the name is indicating, aminotransferase is involved in the transfer of amino group from one amino acid to another. AST is done to rule out the possibility of liver damage or injury. Normally, the AST is concentrated within the liver cell. But, whenever, any injury or damage occurs to liver tissues, these enzymes are leaked out in to the blood. The normal reference range of aspartate aminotransferase (AST) is 5-40 IU/L. In women the normal range is 0-31 IU/L and in men is 0-37 IU/L. however, these reference ranges might vary slightly in tests of different laboratories. Rise in the level of AST can only indicate about the damage or injury to liver tissues but it cannot provide much information about the extent of damage that has occurred to liver tissues. This means that AST blood test just give the rough estimation about the liver disease. It is not a confirmatory test for diagnosing a liver disease. Apart from this, there are many other medical conditions except liver diseases in which the AST levels are elevated in blood. For example, the high levels of AST can be seen in cases of injury to cardiac tissues and muscles. Thus, AST liver function test is not a reliable indicator of liver disease. This test holds no specificity for liver disorders. In order to detect the liver disease, AST test is done along with other liver function tests to reach a final conclusion. ALT blood test is another liver blood test that holds its significance in detecting the liver function. Like AST, alanine aminotransferase (ALT) is also involved in protein metabolism. ALT is found in abundant amount in liver tissues but small quantities are also present in other body tissues as well like kidney, heart and muscles. But, comparatively, its concentration in liver cells is higher than AST. This means, ALT is more specific than AST for identifying the liver disease or injury. The other name for ALT is serum glutamic pyruvic transaminase (SGPT). The normal reference range of ALT in blood varies from 7-55 IU/L. Sometimes, the aminotranferase levels are slightly elevated in the blood but the patient is asymptomatic. The reason is that mild elevation can occur in many other conditions like vigorous exercise. This slight rise in aminotransferase level is considered normal. The liver disease is suspected only when either the elevation in aminotransferase level is twice above the upper limit or when the other liver function tests are also raised along with AST and ALT. Bilirubin blood test is a very good way to assess whether liver is function normally or not. From where does the bilirubin come? Red blood cells contain oxygen carrying compound called hemoglobin. When red blood cells are degraded, the free hemoglobin is released in to the blood. This hemoglobin is converted to another yellowish green compound called bilirubin. Bilrubin is fatty compound so it is insoluble in blood. To make it soluble, the albumin protein circulating in blood combines with bilirubin. This form of bilirubin is called “unconjugated bilirubin”. The unconjugated bilirubin is transported through blood to liver. In the liver, the unconjugated bilirubin is converted to water soluble form after undergoing an enzymatic reaction called conjugation. After the conversion of unconjugated form of bilirubin to conjugated form, it is secreted along with bile in to the intestine. In intestine, the conjugated bilirubin is converted back to conjugated form under the action of the intestinal flora. This bilirubin is then transformed into urobilinogen and stercobilinogen through a series of biochemical reactions. Urobilinogen is excreted through urine while stercobilinogen is excreted via stools. In the liver function test, total bilirubin level in blood is measured. Total bilirubin assay includes the estimation of both unconjugated and conjugated bilirubin. The unconjugated bilirubin is called indirect bilirubin while the conjugated bilirubin is named as direct bilirubin. Thus, in liver blood tests the level of both direct and indirect bilirubin is measured in the blood. The reference range of total bilirubin is 0.1 to 1 mg/dl. The normal value of direct bilirubin is 0.1-0.3 mg/dl. The amount of indirect bilirubin can be calculated by subtracting the value of direct bilirubin from total bilirubin. Elevation in the level of bilirubin is an indication of some liver disorder. Alkaline phosphatase is an enzyme highly concentrated in the biliry duct cells of liver. The raised level of this enzyme in the blood points towards some obstructive diseases of the liver and biliary tract. When biliary ductal cells are damaged, the alkaline phosphatase level is elevated in the blood. Apart from liver, alkaline phosphatase is also found in bone tissues and placental tissues. So, ALP level can be seen elevated in bone diseases and pregnancy. Thus, ALP blood test does not confirm the obstruction in biliary tract. The physician will make the diagnosis of biliary obstruction after relating the blood test report with the signs and symptoms of patient. If the patient has symptoms of biliary obstruction and his ALP is also raised, then this provides the strong evidence of some abnormality in biliary tract of patient. To get out of this confusion, isoenzyme electrophoresis of ALP can be done to find out whether the source of ALP is biliary tract or bone. The normal value of alkaline phosphatase in blood varies from 30-120 IU/L. Albumin is, somehow, a reliable marker of liver function. Albumin is a protein circulating in the blood. Its function is to maintain the osmotic pressure in blood vessels and to prevent the leakage of fluid from blood vessels to extra vascular or surrounding tissues. The one and only source for the synthesis of albumin is the liver. So, albumin level in blood can be directly related to the functional or synthetic capability of liver. If the albumin level in blood is normal, it indicates that the liver is working fine. But the level of albumin is significantly reduced in cases of chronic liver diseases. The other causes of low albumin in the blood can be severe malnutrition or a kidney disease in which albumin is rapidly excreted out in urine. The normal level of albumin in blood ranges from 3.5-5 g/dl. In total protein blood test, all proteins made by the liver are estimated. Total protein test includes measuring the blood level of albumin along with globulins as well. The normal range for total protein is 6-8 g/dl. If the level of total proteins falls below than normal, it will give a clue about either liver disease or kidney disease. Prothrombin time means the time needed by the blood to clot. If the prothrombin time prolongs, the process of clotting will be delayed too. This prothrombin time depends upon the availability of clotting factors in the blood. It is the duty of the liver to synthesize the clotting factor. Obviously, when the liver is diseased, the synthesis of clotting factors is also reduced. Lesser the number of clotting factor, more time will be required to clot the blood. In other words, the prothrombin time will be increased. 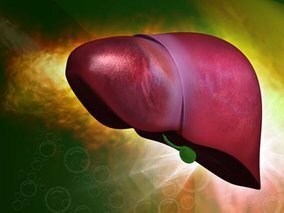 Thus, evaluation of prothrombin time is an excellent marker of the liver synthetic function. The normal prothrombin time is 8.3-10 seconds. Gamma glutamyltransferase enzyme is found in the cells of liver and bile ducts. This enzyme is usually raised in those cases in which there is obstruction in the bile flow through bile ducts. Thus, GGT along with ALP is specific indicator of obstructive biliary diseases. The normal level of GGT in the blood is 0-42 IU/L. These reference values may vary in lab tests of different laboratories. No doubt, GGT is a good indicator of obstruction in bile duct but, it is not always correct because GGT levels in the blood can be raised in many other conditions like in alcohol consumption and in intake of warfarin or some other drugs. Lactate dehydrogenase enzyme is involved in the energy producing reaction. It is present in liver, heart, muscle, kidneys, brain and lungs. Elevation in LDH level in the blood may be an indication of liver disease but it is not specific for the liver. High LDH levels are also seen in cardiac diseases as well. The normal or reference range for LDH is 313-618 IU/L. The confirmation of liver disease cannot be made on the LDH until or unless the other liver blood tests are also done to support the findings of LDH test. How to do the interpretation of abnormal liver blood tests? It’s a bit tricky to interpret the results of liver blood tests. But once you know about the detail of each test, it becomes relatively easier to find out the cause of abnormal change in liver blood test results. Let’s see that how these liver blood tests shift from normal to abnormal in different diseases. AST and ALT are the markers of hepatocellular injury. In simple words, the hepatocellular injury is the damage to liver cells. When the liver cells are damaged, the AST and ALT seep into the blood, resulting in raised blood level of AST and ALT. AST and ALT are usually not elevated in the case of cholestasis or obstructive diseases of bile duct. The diseases in which AST and ALT levels are raised include viral hepatitis, drug induced hepatitis, hepatitis B and C, alcoholism, chronic liver disease, acute biliary obstruction, cirrhosis, non alcoholic fatty liver disease and intake of medicine like barbiturates and aspirin. If levels of AST and ALT are higher than ALP, it indicates towards hepatocellular injury. But, if the level of ALP is more than AST and ALT, it means there is some injury to bile duct due to obstruction. AST levels are also found to be higher in skeletal diseases like muscle dystrophy, rhabdomyolysis and in heart diseases like congestive cardiac failure and ischemic heart diseases. But, these possibitiels can be ruled out by doing AST along with ALT and other liver blood tests. Almost all the liver blood tests will be disturbed if there is hepatocellular damage. But, in other non hepatic cases, only the AST will be raised. This way we can differentiate between hepatic and non hepatic causes of abnormal liver blood tests. The ratio of AST to ALT is a good criteria to differentiate between alcoholic and non alcoholic fatty liver disease. If AST to ALT ratio is equal to one, there are chances of heart failure, ischemic heart diseases and hepatitis. If AST to Alt ratio is > 2.5, it indicates alcoholic fatty liver and cirrhosis. In the start of non alcoholic fatty liver disease, the ALT > ALT. But, if the disease progresses or cirrhosis develops, the AST > ALT. Total bilrubin test is done to find out whether the direct bilirubin is raised or the indirect one. It is important to separately look for the direct and indirect bilirubin because both of them are elevated in different condition. If the direct or conjugated bilirubin is elevated but, the indirect or unconjugated bilirubin is normal, it means there is either some problem with the liver or there may obstruction in the bile duct which is preventing the outflow of bile. Direct bilirubin is elevated in gall stones, obstructive jaundice, hepatitis, chronic liver disease or cancer. If direct bilirubin remains normal and indirect bilirubin gets high, it may lead to two possibilities. One possibility is that the liver is unable to conjugate the bilirubin due to some inherited enzyme deficiency, as seen in cases Gilbert’s syndrome. Other possibility is that there rapid hemolysis or breakdown of red blood cells. The rise in indirect bilirubin level due to hemolysis can be differentiated from inherited causes by looking for signs of hemolysis like anemia and raised LDH. High level of ALP is seen in bile duct obstruction, gall stones, intrahepatic cholestasis, hepatic tumors and cirrhosis. But ALP can be raised in pregnancy and bone diseases like Pagets disease, osteomalacia and rickets. In all the non hepatic cases, there is only isolated rise in ALP. The other liver blood tests remain normal. Albumin and total protein level falls in cases of liver cirrhosis, chronic liver disease and kidney diseases. Albumin test is done along with other liver blood test to find out whether the fall in the level of protein is due to the liver disease or some kidney diseases. Prothrombin time is prolonged in the chronic liver diseases and cirrhosis. The longer the prothrombin time, the more severe will the disease. GGT levels are elevated in bile duct obstruction, cholestasis, hepatocellular injury, ethanol consumption, chronic liver toxicity, obstructive jaundice, metastatic infiltration in liver, pancreatic disease, heart diseases and renal diseases. GGT along with ALP is a very good indicator of obstructive liver diseases. Its isolated rise is seen in non hepatic diseases. LDH level is increased in the cases of liver, heart and lung injury, Hemolysis can also lead to high LDH. LDH test, alone, holds no significance. Other liver blood tests must be done to find out the whether the elevation in LDH is due to the liver disease or not.